I have an insatiable love of film, and yet I rarely see new releases in a timely manner. Most mainstream films are too quickly available on Bluray or some similar format, to make it worth a foray to the theater. Not a steadfast rule, just a ‘watch in silence at home’ preference that seems to have become my norm. There are only three people, whose work, I would travel/do/pay, whatever was necessary to see immediately. Terry McMahon is one of those people. Having thoroughly enjoyed the dark complexity of Charlie Casanova (written and directed by McMahon), and then reading plot summaries and early reviews of his latest film, Patrick’s Day, I was intent on seeing it. After premiering and showing across Ireland, Patrick’s Day made its way to the US for a limited number of engagements. The closest opportunity being a mere hour’s drive for me, my attendance was a sure thing. Besides wanting to partake in the latest McMahon film creation, I was captivated by the synopsis of this film specifically, as stated on the official site. “Patrick is a warm, open, twenty-six year old virgin schizophrenic. Pills and his mother’s protection mean he is no threat to himself or anyone else. Until he falls in love. The object of his desire, Karen, a suicidal flight attendant, has no idea the intimacy she shares with Patrick might reintroduce her to living. Patrick’s obsessive mother Maura doesn’t realize her own misguided love may be more dangerous than hate. Clearly this film held the promise of an engaging plot, multi-faceted characters, and an experiential journey in love as it traverses various psychological mine fields, in ways that we are not usually privy to. In this day and age, we are nearly numbed by the oversaturation of promotion and marketing. It has become commonplace for movie trailers to be cleverly jig-sawed fabrications that create false illusions of the content, and far too often we find the best bits of a film were already seen in such promotional adverts. Delightfully, while the trailer for Patrick’s Day tugged at the heartstrings and engaged curiosity, the film itself had so much more to offer, fully weaving you into the characters’ emotional journey from the very start. This loyal integrity to both the film and the potential experience of its audience, may seem like an overanalyzed side note, but for me, increased my appreciation of both the film itself, and its creator. There are plentiful detailed synopses, as well as some wonderfully erudite reviews of this film by movie critics, mental health professionals, and other such experts, readily available here on the net, and I urge you to read them. Another’s perspective of art can open us to an even greater experience than we ourselves initially had. All I offer in any ‘review’ I write is truly more a log of my own reactions and experiences due to the film at hand. 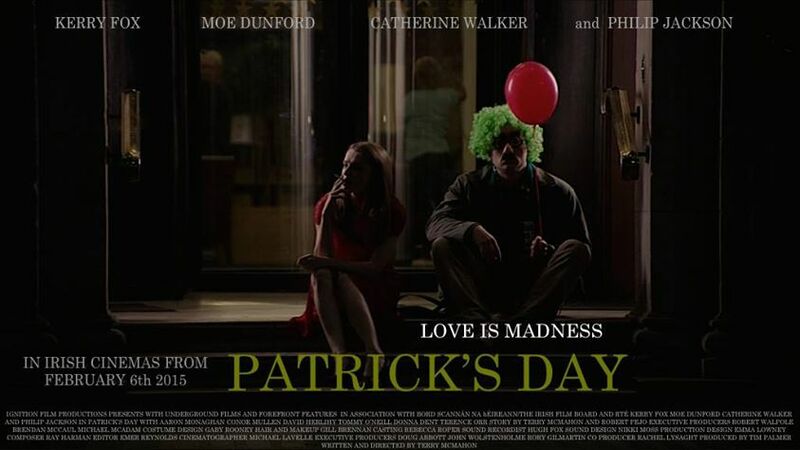 ‘Patrick’s Day’ had me examining so many facets of my own character, of my own ethics, reasoning, and actions, that as I made my way back to my car from the theater, my heart was racing nearly as fast as my mind. As we walk through life, we claim it is one foot in front of the other, when in reality our mind is in the past, racing ahead to the future, running in circles in the present, scanning those around us to try and assess their assessment of us, and on it goes. We try to evaluate and plan, and maneuver and achieve through distinctive measures such as right and wrong, good and evil, black and white. There are purposes and causes, authorities and subjects, meanings and definitions all at play continuously. The choices we make define us, mold us, transform us, and then a step or two later in the process of life, further impact us, as our choices affect others. What we each create and cause in our own life has a ripple effect into our familial and professional lives, and when examined more closely is truly a microcosmic facsimile of world governments and nations across the globe. Authority and its agendas – ostensibly for the sake of those it governs – has more parallels than we may feel at ease acknowledging, between parenting (or guardianship) of loved ones and how politics are determined and projected on the people. It is truly the same animal. How we nurture, fight, or tame that animal is the question we all face daily on both the asserting and receiving sides of things. 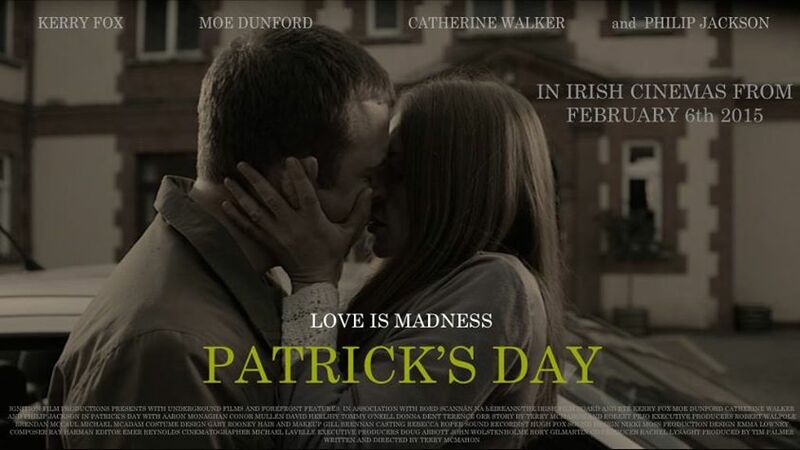 Each of the characters in Patrick’s Day goes through a major metamorphosis and each is caused by love. Each of them ignites our compassion, some our rage, and at least for me… also my empathy. What IS love? Who is capable of it? Who requires it? In what forms and from what sources? Is how authentically we love, purely an emotional response or does it also involve intellect to either understand, evaluate, or even dream of it? Can it cause one to go mad? Can those considered ‘mad’ (or at least mentally handicapped) truly feel love or is it merely passion or a twisted form of obsession and attachment? Does love destroy who we are or does it make us a better version of ourselves? Not so ironically, my personal beliefs on all of the above were enhanced and echoed, by the various people and relationships depicted in this film. Love is neither good nor evil per se, it is a power greater than any other, I believe due to its visceral integration in every system of the human being – mind, heart, body, and soul, and to that end can be savior or destroyer, a tool for the wielding of our choice… for ourselves and others. While Karen Prescott (played by Catherine Walker) a suicidal flight attendant is elevated out of the darkest space she has ever been in, by Patrick’s innocently sincere, passionate, and unrelenting love for her, another woman in his life takes the purest of love and becomes a monstrous manipulator. Maura, brilliantly portrayed by Kerry Fox, has a vise like grip on her son, Patrick’s life. Or rather she did until he fell in love with Karen. Invigorated and emboldened by the power of love surging through him, motivating him, and inspiring him, Patrick bucks authority, hides truths and actions, to preserve his romance and hopes for the future. Even Maura’s outrageous and extreme efforts to convince him that Karen was a mere figment of his imagination and fantasies, do nothing to eradicate Patrick’s feelings. Aside from a few tangible trinkets, it is truly Patrick’s emotions, the experience of his heart, that keeps him on course with his memories while at odds with all the authority in his life. Maura’s concern over how intense emotions of both love and passion, will affect the tenuous stability that her son maintains through medication, a controlled living environment, and daily routines, is well founded. What she does with that concern, how far she goes, how hard she pushes him … is simply horrifying. It is evident that she knows she cannot diminish the value or impact of romantic love on her son’s psyche or heart, so instead she goes to desperate lengths to convince him, the love, the target of his affection never even existed. The psychological torture that she inflicts on her son is well within villainous scope. Is she a bad mother? Has she gone mad herself from fear for her son? Is she afraid for him, or afraid of losing a part of herself if she loses him to another woman of influence in his life? When your entire life, your very identity is embroiled in the status quo of another, what lengths do you go to, even – or especially – as a loving parent, to maintain that? We see affects even if they seem fleeting in more second tier characters like despondent cop, John Freeman. What he does in life, what he empathizes with Maura about, stems from his love for his own child. Patrick. 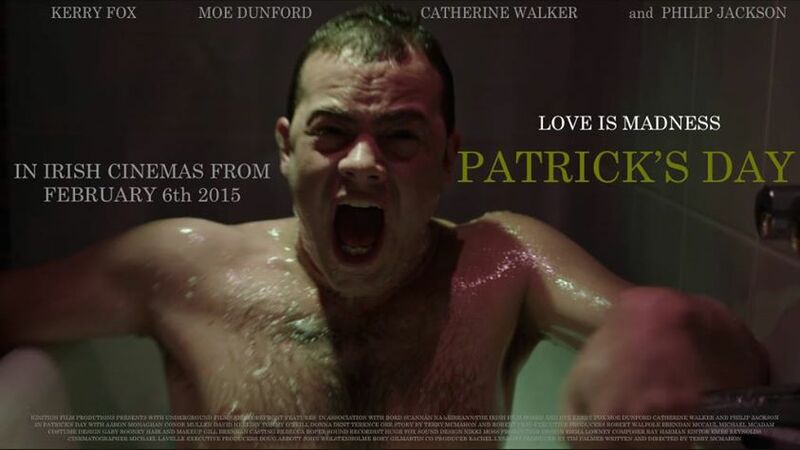 Moe Dunford as Patrick Fitzgerald. How does one describe or praise a performance so realistically embodied – lived – that it is beyond a stellar portrayal?!?! As you watch Patrick love and suffer, doubt and be certain, recede and assert….you just want to rescue him and somehow allow him to be free… to love, to be himself. But who determines who he is since he is mentally impaired? Who makes the judgment calls on what is real…safe…possible for him as a young man with mental health issues? He argues and fights his mother, knowing his experience, but then allowing his trust in her to create self doubt. The lengths this drives him to, are – to most minds I believe – an unforgivable result of his mother’s manipulations and lies. Dunford brings Patrick to life with powerful gentility, innocent reticence, passionate drive, raw honesty, and a heart so pure that it absorbs both the beautiful and the hedonistic equally and openly to his core. I literally loved every moment of this film. Every scene held layers of subtleties that impacted as strongly as the direct actions and dialogue. Yet… there is one scene, that I had to surreptitiously peer around the theater to check if my reaction had been audible… or just screamed loudly in my head. This scene was not just executed in pure primal and realistic excellence, it also gave a visual to the true essence of the human psyche. Patrick in the tub. Images, emotions, like waves lapping on the shores of his conscious mind. Memories of Karen, hearing and feeling her love and suddenly the horrifying overlap. The same intensity, the same words, the same yet vastly different (or is it?) feeling …and now his mother’s face. This was no mere moment of Oedipus Complex, no confusing one strong feminine love for another. This – to me at least – gave a full color image to the how and why each of us as human beings craves, seeks, needs, and even experiences love. Patrick’s reaction via a cinematically defining moment by Dunford, gave audio to the self loathing that accompanies that in us all. What we hide from, what we refuse to sort and understand, instead keeping it shamefully prisoner in the dark corners of our minds. Or are we the shameful prisoners? Mental Health – its realities, the rights of those living with these challenges. Parenthood – its strength and fierceness and frailty. Love – in all its forms. This poignantly humble and yet emotionally impactful indie film covers and uncovers some of the deepest concepts in life. There is nothing superfluous or gratuitous in this film. Nothing for shock value, even if shocking. No special effects to create drama, just true quality characters and plot that effectively stir dramatic emotional reaction. Every word, prop, scene, staging, and note or lyric of music in Patrick’s Day is essential and an intricate detail in the landscape it paints for us of love…in its various forms, stages, and champions. In life – and definitely in selecting what films to view – not all that glitters is gold. 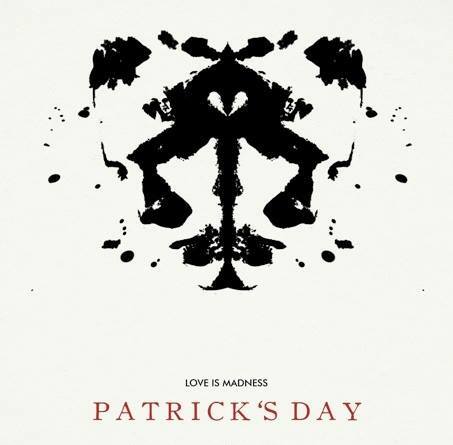 Patrick’s Day is a true gem, has deep resonating value, and that, to me, was clear in how it was presented from its trailers, to official synopses and beyond, with dignity, accuracy, and integrity. Point being, substance matters, not packaging, and Patrick’s Day is indeed a substantial work of epic cinematic excellence. To me it is clear that this film was crafted in such a way, so as to inflame the emotions on every side, from every angle of a situation. This level of emotional multi-tasking makes most people uncomfortable. We tend to prefer things being black and white – this one is right, this one is wrong; this one the villain this one the victim. People shy away from layered emotional processing, I believe from fear of being wrong, or being told they are incorrect, seen as being a fool for their opinions. Instead they prefer to have a no-brainer, which to me is a no-feeler as well, clear cut choice. Patrick’s Day goads us into facing the complexity of life, of emotion, and certainly of love specifically. There is no escaping the magnitude of love – in all its forms – when experiencing Patrick’s Day. I could be way off course here. Perhaps how I understood and even related to each of the characters, is miles away from who they really are and were created to be. Perhaps I totally lost the plot as they say, and this is just what my mind made of it all, and is light years from what Terry intended as he created this masterpiece. Or perhaps there is no wrong or right, as long as the art – the writing, portrayal, music – the cinematic experience as a whole, moved me to new perspectives, deeper thoughts, and inspired me to broaden my emotional landscapes. Perhaps that is the purpose of art in all its forms. Clearly, Terry has done it again. This man's work cranks open the mind and lets in light that makes us truly examine our inner shadows... the motivations, agendas, foibles, weaknesses, and strengths. We are mesmerized by the characters Terry creates, so much so that we cannot look away, there is no averting the eyes, nor ego, as we come to realize, each time, we are looking at a part of ourselves. Terry… I thank you for the light... in the shadows… the passing glimmer in the reflective mirror of film, that lures me into the dark tunnels of my mind, my ethics, my beliefs… and leads me to places I may have otherwise left unexplored. I hope that this amazing film tours the globe. While it has won numerous awards at this point, more people must see it, experience it... in theaters, and then again and again in their homes. Seek it out... request it...it is worth it... beyond measure.